ZEBULON - The Pike County Development Authority will hold a regular monthly meeting on Wednesday, May 1, 2019 in the Development Authority Conference Room from 8:00 AM until finished for the purpose of general business. Mr. William Michael Wynn, age 64, of Hampton, passed away April 23, 2019. For more information about visitation and the service or sign the guestbook go to Moody-Daniel Funeral Home. Mr. Billy Myles Wilkerson, age 84, of Williamson passed away April 23, 2019 at his home. For more information about visitation and the service or sign the guestbook go to Moody-Daniel Funeral Home. WILLIAMSON - Pike County Times has been contacted by several concerned citizens about David Brooks because of the following article that NBC News reported in February of this year. At the time of this news broadcast, Brooks lived in Williamson and his wife, Lugene, was reportedly employed at CrossPointe Christian Academy in Williamson. Click here for more. GRIFFIN - In reference to the accidental shooting of a juvenile on April 15, 2019, the Griffin Police Department has concluded their investigation. There has been an arrest made in reference to the incident. The juvenile is recovering from his injuries. Click here for more. GRIFFIN - The GRIP has confirmed through the Griffin Police Department that no adults were present in the apartment Monday afternoon when a seven-year-old boy sustained a .45 caliber gunshot wound to the abdomen this in the Griffin Crossings apartment complex. Click here for more. PIKE COUNTY - Pike County Public Works advised the county manager of repairs that have been to Pike County roads to enable travel again after this weekend's flooding. Click here for more. Thank you to First Bank of Pike for sponsoring Pike County Times’ Breaking News Alerts! If you want to find out about how you can get Breaking News Alerts, click here. Thanks for reading and supporting Pike County Times.com! ZEBULON - The Montgomery Lodge #31 F&AM will be holding a BBQ Fundraiser on Saturday, May 18, 2019 from 11 a.m. to 3 p.m. on the south lawn of the Courthouse. Click here for more. ZEBULON - Prayer Power of Georgia will sponsor the Pike County celebration of the annual National Day of Prayer on Thursday, May 2, 2019. Please join us for the service at noon on the Pike County Courthouse Square. Click here for more. Mr. Christopher Leonard “Chris” Johnson, age 44, of Hampton, passed away July 4, 2018. For more information about visitation and the service or sign the guestbook go to Moody-Daniel Funeral Home. PIKE COUNTY - There are several roads closed in Pike County right now. It appears that north west part of Pike County was hit hardest with major flooding. Click here for more. ZEBULON - On Tuesday, April 16, 2019 around 5 p.m. a black Chevy Silverado K150 was involved in a one vehicle wreck on Highway 19 north of Zebulon. Witnesses contacted Pike County Times about a wreck near Pike Manor shortly after the wreck occurred. The truck was driven by 58 year old Darrell Lockhart of Griffin. 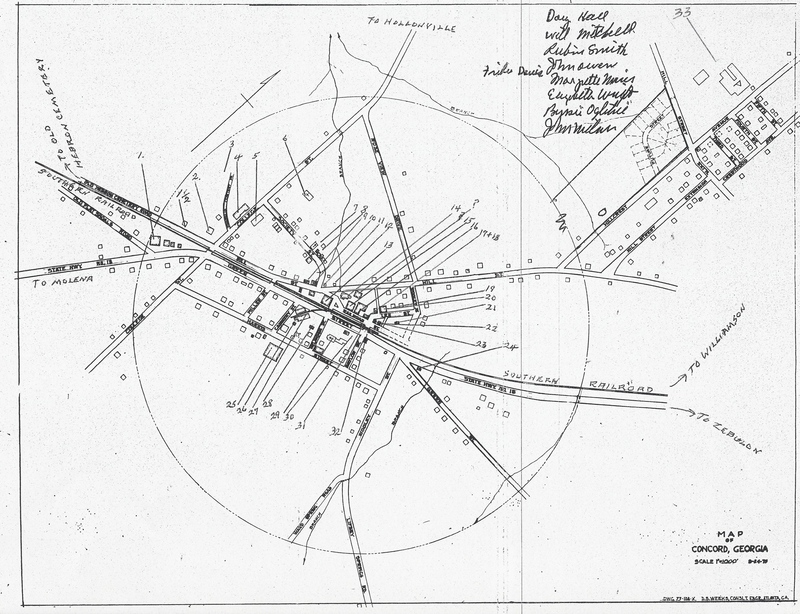 According to the incident report from the Georgia State Patrol, Lockhart was traveling north in the right hand lane on Highway 19 near Mile Marker #18 when it failed to maintain its lane of travel and crossed over the south bound lanes, ran off the left shoulder of the roadway, and struck a ditch. Pike County emergency personnel responded to the scene within minutes and assisted in the extrication of the two passengers who were transported by ambulance to Spalding Regional Hospital with visible complaint of injuries. The driver was cited for failure to maintain lane. Thank you to those who contacted Pike County Times about this incident. Mrs. Helen Elizabeth Copper Loggins, age 92, of Griffin, passed away April 17, 2019. For more information about visitation and the service or sign the guestbook go to Moody-Daniel Funeral Home. Tuesday, April 23, 2019 – 1:00 p.m.
MACON - Three Macon museums - the Georgia Sports Hall of Fame, Museum of Arts and Sciences, and Tubman Museum - are partnering with the Georgia Public Library service on a statewide pass program. The Macon Museum Pass is a library loan program consisting of a pass that can be checked out just like any other library item. When taken to any of the three Macon museums, it is good for four free general admissions. Click here for more. Mr. Charles W. Sweatmon III, age 69, of Stockbridge, passed away April 15, 2019. For more information about visitation and the service or sign the guestbook go to Moody-Daniel Funeral Home. The EPD burning restrictions go into effect May 1 and last through the summer months until October 1 each year. For more information visit the Georgia Forestry Commission’s web site at www.gfc.state.ga.us or call your local office of the Georgia Forestry Commission at (770)227-5522 or (706)646-6011. You can also contact the Georgia Environmental Protection Division at (404)362-2671. Mr. Melvin E. Brooks, age 85, of Griffin, passed away on Friday, April 12, 2019, at The Hope Center in Fayetteville. For more information about visitation and the service or sign the guestbook go to Moody-Daniel Funeral Home. Mr. Wallace Franklin Hudgins, age 85, of Thomaston, passed away peacefully, April 14, 2019, at his home. For more information about visitation and the service or sign the guestbook go to Moody-Daniel Funeral Home. GRIFFIN - The Georgia DOT will hold a Detour Open House on Thursday, May 2, 2019 from 5:00 - 7:00 p.m. at the Jordan Hill Elementary School, 75 Jordan Hill Road in Griffin, Georgia. The event regards P.I. No. 331910 - Spalding County, which proposes a needed bridge replacement on County Road 508/Jordan Hill Road at Troublesome Creek in Griffin. The existing structurally-deficient bridge would be replaced with a new bridge that would be approximately 90 feet long by 43 feet wide with two 12-foot lanes and 10-foot shoulders. Click here for more. BARNESVILLE - A new American Red Cross survey shows that roughly two in five people think it’s more likely that they’ll win the lottery than lose their home in a fire. But the real odds are the opposite: the chance is greater of dying from exposure to fire or smoke (nearly one in 1,500), compared to winning the lottery (typically one in millions). Click here for more. WILLIAMSON - Pike County Deputies responded to a motorcycle accident on Highway 362 at Turner Road this morning at 8:33. A Triumph motorcycle was found to have left the roadway for an unknown reason throwing both passengers off and causing serious injuries to both. Timothy Hodges, from Williamson, and Melissa Faust, from Newnan, were both air lifted to Atlanta for medical treatment. Traffic investigators will continue to look into the cause of this accident and if any charges should be filed in this case. ZEBULON - The Pike County Board of Commissioners will hold its regular monthly meeting on April 10, 2019 at 9: 00 a.m. at the Courthouse, Main Courtroom, 16001 Barnesville Street in Zebulon. There will be a 15 minute Town Hall Meeting prior to the meeting where members of the public can address commissioners prior to the start of the official meeting without getting on an agenda prior. The public is invited to attend this meeting. Click here for more. Mr. Mark B. Pryor, age 65, of Hollonville, passed away April 9, 2019, at his home. For more information about visitation and the service or sign the guestbook go to Moody-Daniel Funeral Home. Condolences to the Family of Mr. Jimmy A. Scott, Sr.
Mr. Jimmy A. Scott, Sr., age 74, of Concord passed away April 7, 2019, at his home. For more information about visitation and the service or sign the guestbook go to Moody-Daniel Funeral Home. ZEBULON - Looking for someone to do your taxes and do them well? Look no farther than H&R Block in Zebulon! Click here to find out about pricing. You can also call 770-567-3840 for more information. Please tell them that you read about them on Pike County Times. Jackie K. Cooper's Entertainment Rundown for this week can be found by clicking here. Jackie also has many movie reviews on his website at www.jackiekcooper.com along with reviews of the latest books, DVDs, television shows and columns on life and living in the South. Mrs. Jewell Lee Vargas Wood, age 60, of Hampton, passed away April 6, 2019, at her home. For more information about visitation and the service or sign the guestbook go to Moody-Daniel Funeral Home. MOLENA - Introducing the first sponsor of Pike County Times’ Breaking News Alerts! First Bank of Pike has been serving customers in Pike County and the surrounding area since 1901 and offers Personal and Business banking with a personal touch. Services include checking, savings, money market, certificates of deposit, and IRA’s. Mobile Banking and Bill Payment services are also available! Click here for more. Please let First Bank of Pike know that you appreciate their sponsorship of Breaking News Alerts on Pike County's only FREE online newspaper! at www.firstbankofpike.com/. Tell them Pike County Times sent you! Brandon Jobe Gobble, age 20, of Zebulon, passed away April 5, 2019, from injuries sustained in an automobile accident. For more information about visitation and the service or sign the guestbook go to Moody-Daniel Funeral Home. GRIFFIN - Thank you to Food Depot for advertising with Pike County Times! There are two convenient locations at 1201 West Taylor Street and 816 North Hill Street. Click here for more great deals from Food Depot. Please tell them that you read about this and other deals on Pike County Times! Mr. Gerald Ray, age 76, of Geneva, AL, formerly of Pike County, passed away April 3, 2019, at his home. For more information about visitation and the service or sign the guestbook go to Moody-Daniel Funeral Home. ZEBULON - SJ Land Surveying specializes in land surveying, planning, and subdivision design. Thank you to SJ Reeves Land Surveying for helping provide your news for free on Pike County Times! SJ Reeves Land Surveying is located at 11491 Highway 19 North in Zebulon. Call Steve J. Reeves RLS at 770-584-5203 or email him at sjreevessurveying@gmail.com and tell him that you saw his ad on Pike County Times! ZEBULON - The monthly meeting of the J. Joel Edwards Public Library Board of Trustees was held on March 1, 2019. Members attending were Audrey Lanier (Chair), Anthony Vincent, Joy Walker, Curtis Ward (Treasurer), Rosemary Bunn (Library Manager), Natalie Marshall (Flint River Regional Library System (FRRLS) Representative, Gillian Appleton (Vice Chair), Rhonda Morgan (Acting Secretary) Patty Talley, and Tina Venus. Those in the audience included Rusty Lanier, Peter Potter, Chairman Briar Johnson, and Becky Watts from Pike County Times. Click here for more. Mr. Rickie C. Maddox, age 71, of Zebulon, passed away April 1, 2019, at his home. For more information about visitation and the service or sign the guestbook go to Moody-Daniel Funeral Home. Mrs. Agnes Jeannette Huckaby, age 84, of Griffin, passed away March 29, 2019, at Westbury Nursing Home in Jackson. For more information about visitation and the service or sign the guestbook go to Moody-Daniel Funeral Home. Tuesday, March 26, 2019 – 6:30 p.m. Courthouse Doors on East/South Sides open at 6:00 p.m.
Town Hall Meeting at 6:15 p.m.
GRIFFIN - On March 29, 2019 at approximately 4:00pm, Investigators from the Spalding County Sheriff’s Office Criminal Investigations Division, Special Operations Unit, CAGE Unit, and Fugitive Apprehension Unit arrested 23-year-old Reginald Collier in connection with the robbery that occurred on March 27, 2019 at the Dollar General Store located at 21 Bicycle Road. Click here for more. WILLIAMSON - On Wednesday afternoon around 4 p.m. deputies from the Pike County Sheriff's Office made a vehicle stop on Hwy. 362 in Williamson near Hutchinson Road. Deputies were investigating a report stolen power tools after receiving a complaint about suspicious activity around new construction at Ashley Glenn Subdivision. Click here for more. GRIFFIN - Spalding investigators recently partnered with detectives from the Fayette County Sheriff’s Office to investigate a series of ATV thefts that occurred in western Spalding County and Fayette County. This investigation resulted in the recovery and return of several ATV’s. Click here for more. LAMAR COUNTY - The Georgia DOT is advising motorists in Lamar County that maintenance crews will start a project to rehabilitate the High Falls Road Bridge over I-75 on weekends, starting Friday evening, April 5, 2019 at 5:00 p.m. Click here for more. GRIFFIN – The Spalding County Sheriff’s Office has confirmed that a sixth grade student from Rehoboth Road Middle School has been charged with 12 counts of terroristic threats and acts and 8 counts of disorderly conduct in connection with the bomb threats that were made to Rehoboth Road Middle School and Spalding High School on March 12, 2019 via social media and again to Spalding High School, Griffin High School, Rehoboth Road Middle School, Kennedy Road Middle School, Cowan Road Middle School, and Griffin Christian Academy on March 18, 2019. Click here for more. ATLANTA - I am sure you have seen in media headlines that the Georgia State Senate has passed the Living Infants Fairness and Equality (LIFE) Act, also known as the Heartbeat Bill. This legislation will protect the life of the unborn. After listening to hours of debate from colleagues on both sides of the issue, I would like to address why I voted in favor of life through House Bill 481. Click here for more. ZEBULON - This spring, gardeners planning vegetable gardens, or even a major renovation of your ornamental beds, should take the opportunity to test their soil before they put plants in the ground. Click here for more. ZEBULON - A major key in keeping our community fire safe is awareness and education! With this thought in mind, the Pike County Fire Department is working with National Fire Safety Council, Inc., a 501(c)(3) non-profit organization, to provide fire prevention materials for our community through their Annual Fire Prevention Program for the citizens of Pike County. Click here for more. MOLENA - On 27 April 2019, the City of Molena and The Pike County American Legion will host a Molena Purple Heart Day. All events start or occur at the Molena City Park Pavilion at the intersection of GA 18 and Spring Road (GA 109) Molena, Georgia. Click here for more. ATLANTA - On March 7, the General Assembly hit our first deadline of the legislative session with Crossover Day. By this day, all bills that originated in the Senate must have been passed in their assigned committee, then by the Rules Committee, and finally, on the Senate floor. The legislation is then transmitted to the House for consideration, and upon receiving favorable consideration, it is sent to the governor for final approval. The 2019 legislative session is the first half of our biennial session, so if additional Senate bills are introduced this year, they still have potential to be signed into law next year. That being said, there are several bills I want to highlight that have been introduced this year so far. Click here for more. MOLENA - On April 27, 2019, at 11:00 am, at the City Pavilion/Fire Station, the City of Molena Georgia will celebrate becoming a Purple Heart City. The designation is given by the state Military Order of the Purple Heart as a thank you to our veterans and a reminder to the community of the sacrifices servicemen and women have made for us. A Purple Heart is awarded to any armed forces member wounded or killed in combat. If you are a Purple Heart recipient, we invite you to contact the City of Molena at 770-884-9711 so that we may recognize you at our ceremony. ZEBULON - BJ Lawrence, Board member of Department of Behavioral Health and Developmental Disabilities, spoke to Commissioners at last week's County Commission Meeting a statewide survey from the State of Georgia regarding individuals in Georgia with mental illnesses, substance use disorders and intellectual/developmental disabilities the state of Georgia that the State of Georgia is asking everyone to participate in. It is a short, anonymous survey that will be used to improve disability services throughout the state and is only 14 questions long. This is for anyone to fill out with no prerequisites. https://www.surveymonkey.com/r/georgianeeds . Their goal is to hear from 8,000 people in the 159 counties throughout the state of Georgia. The survey period will closeon April 15, 2019 and a report will be issued in June 2019 displaying the data on a county by county, regional, and statewide basis. ZEBULON - On Saturday, March 9, 2019, the Pike County Republican Party held its Mass Meetings and County Convention. Delegates will be going to the District and State Conventions. A new board was also elected. The new board members are as follows: Chairman - Keith Hurley, Vice Chairman - Holly Burke Ortiz, Secretary - Patsy Page, and Treasurer - Shelby Pullin. Wednesday, March 13, 2019 – 9:00 a.m.
Town Hall Meeting at 8:45 a.m.
ZEBULON - Notice is given that there will be introduced at the regular 2019 session of the General Assembly of Georgia a bill to create the Joint Board of Elections and Registration of Pike County; and for other purposes. Anyone with questions can contact Representative Ken Pullin by phone at 706.304.9300 or email at ken.pullin@house.ga.gov. ZEBULON - Ginny Blakeney, Economic Development Director for Pike County, advised that the negotiations are final with a new business buying Tract 4 of the Pike County Industrial Park. Click here for more. THOMASTON - Virgil Brown, attorney for suspended Superior Court Judge Robert Mack Crawford, told Zoom News on Friday a restraining order was issued against the State Judicial Qualifications Commission in Cobb County Superior Court. Click here for more. ATLANTA - For those who haven't had time to look through the entire situation involving Speaker David Ralston, a lot has gone on. This was the talk of Atlanta last weekend, but it has been going on since February 13. Ken Pullin, our local representative, took a stand on this situation involving accusations of legislative abuse by the Speaker of the House, David Ralston. Click here for more. ZEBULON - Pike Primary celebrated Hero Day on Friday, February 8, 2019 to honor fallen police officer Chase Maddox who was a resident of Pike County and worked for Locust Grove Police Department. His son, Bradin, is a student at Pike Primary School, and the anniversary of Chase’s end of watch is February 9th. Click here for more. ZEBULON - 2018 was a whirlwind of a year with the ending never seeming to slow down, and January rolling quickly through. I can’t believe it’s already the middle of January! Here is a look at some of the major events of the year including some of the community events that I covered. Click here for more. ZEBULON - Collier's Community Services Inc. is a 501(c)3 faith-based non-profit food bank with "a mission for feeding the hungry and a heart to serve." They bring in truck loads of meat and produce that can be picked up for a $10 donation per load of food. So many households in Pike and the surrounding counties has been blessed by this ministry. Collier's also partners with local food banks, soup kitchens, etc. to help provide fresh produce and meats. Click here for more. ATLANTA - Pike County Times has followed the May 23, 2017 complaint of inappropriate contact between Brian Crow, who is no longer a teacher in the Pike County School System, and a female student since the story became public in 2017. Crow resigned as a teacher in the Pike County School System, and the case was presented to the Grand Jury but No Billed due to a lack of cooperation from the victim in this case. Click here for more. If you want to find out about how you can get Breaking News Alerts, click here. Thanks the First Bank of Pike for their support of Breaking News Alerts on Pike County Times.com! Tuesday, November 27, 2018 – 6:30 p.m.
ZEBULON - The Pike County Board of Commissioners will hold its regular monthly meeting on Tuesday, November 27, 2018 – 6:30 p.m. at the Courthouse, Main Courtroom, 16001 Barnesville Street in Zebulon. There will be a 15 minute Town Hall Meeting prior to the meeting where members of the public can address commissioners prior to the start of the official meeting without getting on an agenda prior. The public is invited to attend this meeting. Click here for more. Tuesday, October 30, 2018 – 6:30 p.m.
ZEBULON - The Pike County Board of Commissioners will hold its regular monthly meeting on Tuesday, October 30, 2018 at 6:30 p.m. at the Courthouse, Main Courtroom, 16001 Barnesville Street in Zebulon. There will be a 15 minute Town Hall Meeting prior to the meeting where members of the public can address commissioners prior to the start of the official meeting without getting on an agenda prior. The public is invited to attend this meeting. Click here for more. Wednesday, August 8, 2018 – 9:00 a.m.
ZEBULON - The Pike County Board of Commissioners will hold its regular monthly meeting on Wednesday, August 8, 2018 – 9:00 a.m. at the Courthouse, Main Courtroom, 16001 Barnesville Street in Zebulon. There will be a 15 minute Town Hall Meeting prior to the meeting where members of the public can address commissioners prior to the start of the official meeting without getting on an agenda prior. The public is invited to attend this meeting. Click here for more. Tuesday, July 31, 2018 – 6:30 p.m.
ZEBULON - The Pike County Board of Commissioners will hold its regular monthly meeting on Tuesday, July 31, 2018 – 6:30 p.m. at the Courthouse, Main Courtroom, 16001 Barnesville Street in Zebulon. There will be a 15 minute Town Hall Meeting prior to the meeting where members of the public can address commissioners prior to the start of the official meeting without getting on an agenda prior. The public is invited to attend this meeting. Click here for more. Tuesday, July 31, 2018 – 5:00 p.m. Courthouse Doors on East/South Sides open at 5:00 p.m.
ZEBULON - The Pike County Board of Commissioners will hold its regular monthly meeting on Tuesday, July 31, 2018 at 5:00 p.m. at the Courthouse, Main Courtroom, 16001 Barnesville Street in Zebulon. There will be a 15 minute Town Hall Meeting prior to the meeting where members of the public can address commissioners prior to the start of the official meeting without getting on an agenda prior. The public is invited to attend this meeting. Click here for more. Wednesday, July 11, 2018 – 9:00 a.m.
ZEBULON - The Pike County Board of Commissioners will hold its regular monthly meeting on Wednesday, July 11, 2018 – 9:00 a.m. at the Courthouse, Main Courtroom, 16001 Barnesville Street in Zebulon. There will be a 15 minute Town Hall Meeting prior to the meeting where members of the public can address commissioners prior to the start of the official meeting without getting on an agenda prior. The public is invited to attend this meeting. Click here for more. JAPAN - A contract was issued for bid out of the NAVSUP Fleet Logistics Center Yokosuka, Site Singapore (FLCYS) for Archeological Survey and Remains Recovery Work in Northeast India late last year that was awarded in May of 2017. The solicitation was specifically to follow up on recovery of remains of WWII service members from sites in Northeast India. [Note from the Editor: This article came about because I have been covering the recovery of 1st Lt. Robert Eugene Oxford from the WWII crash site for "Hot as Hell" in India for the past 10 years.] Click here for more. ZEBULON - Do you enjoy reading Pike County Times for FREE? Please say thank you to those who advertise with me and provide this service to you. How can you say thank you? You can help Pike County Times by doing business with each of these advertisers and making sure that they know that you appreciate their support of your free, independent online newspaper -- Pike County Times. THOMASTON - Danny Shumate from CGA Comp is the webmaster for Pike County Times. Danny designed Pike County Times as you see it today and has taught me how to hand code this entire website. (He truly has the patience of a saint because I am NOT a programmer.) He helped me with a complete revamp of Pike County Times in 2007 and again in 2011. Danny can put together a website for your business. From a basic website to a website full of bling, CGA Comp can help you promote your business on the world wide web at a price that is right for your budget. Danny Shumate at CGA Comp can be reached at 706-741-5929. Tell him that the Pike County Times sent you! ZEBULON - Standing in line at a business counter and need something to do? 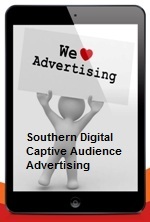 How about looking at the ads on the screen provided by Southern Digital Captive Audience Advertising. This advertising combines digital signage with advertising for your business in local businesses on a big screen tv. For more information about how you can showcase your business through captive audience advertising, call 770-616-5412. Tell them that the Pike County Times sent you! ZEBULON - NO WEEDS. NO BUGS. NO PROBLEMS. Pike Pest Management is owned and operated by Mark Andrade. Pike Pest Management has a special for Pike County Times readers. Mention that you saw their advertisement on Pike County Times and ask for 10% off of your initial service. Call Pike Pest Management at 770-567-FLEA (3532) for all of your pest control needs! Tell them that the Pike County Times sent you! BARNESVILLE - Looking For a Good Chiropractor? Mid Georgia Chiropractic is owned by Mark Fink from Pike County. 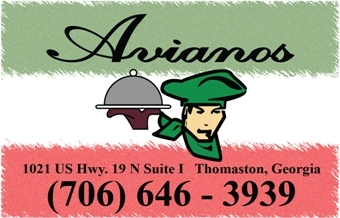 His business is located on 818A College Drive, Barnesville right down from Subway. I have been going to him for more than fifteen years. Mid Georgia Chiropractic is now open on Thursdays and closed on Fridays. New hours are: Mondays 10 a.m. to 12 noon and 2 to 6:30 p.m.; Tuesdays 9 a.m. to 12 noon and 1 to 3 p.m.; and Wednesdays and Thursdays 9 a.m. to 12 noon and 2 to 6 p.m. Mid Georgia Chiropractic is now closed on Fridays and remains closed on Saturdays and Sundays. Call Mid Georgia Chiropractic at 770-358-2003 for more information. Tell them that Pike County Times sent you! ZEBULON - Prayer Power of Georgia, Inc. is a faith based 501(c)3 private foundation dedicated to developing and maturing the spiritual lives of those in our community, as we aspire to fulfill the Great Commission. Through educational materials, instructional programs, and community leadership in discipleship, Prayer Power of Georgia shall demonstrate and promote a richer more fulfilling spiritual and prayer life in our community. Prayer Power sponsors the annual National Day of Prayer and Pike County Baccalaureate Graduation event each year as well as awarding the Saints in Light and Faith Awards each year. Click here to find out more about Prayer Power of Georgia, Inc. and get signed up to receive daily devotionals. ZEBULON - The Moody-Daniel Funeral Home is independent and locally-owned by the Moody Family and has been serving families since 1982. Currently, owned and operated by Terrell and Sherri Moody and Tim Daniel, the firm was founded by Terrell’s parents, Charles and Betty Moody. Tim Daniel joined the Moody family in 2012, and the funeral home became Moody-Daniel Funeral Home and Cremation Services. It continues to be a family-centered firm. The words, “our family serving your family” are at the heart of everything we do." For more information about Moody-Daniel Funeral Home, click here or call 770-567-8642. Tell them that you read about Moody-Daniel Funeral Home on Pike County Times! CONCORD - Pike Countryside Sanitation, the oldest and largest sanitation service in Pike County, is available for all of your recycling and sanitation needs. Pike Countryside Sanitation. It specializes in 20, 30, and 40 yard industrial roll-off containers and has 2, 4, 6, and 8 yard front load containers too. Pike Countryside Sanitation provides curb and home pick up in Pike, Meriweither, and Spalding Counties. Call 770-884-0088 and tell them that Pike County Times sent you! ZEBULON - Racquethause South Fitness Club provides total healthcare fitness in Zebulon. You won't get the body that you want overnight, but with hard work and dedication, you will get it soon enough. Let us help! Racquethause South offers equipment to work out at your own pace, trainers, and classes of all types to fit all kinds of lifestyles. Step class, Yoga, Crossfit, Spin, Bootcamp, and Silver Sneakers are just a few of the classes that we offer! You can check out Racquethause South on Facebook or drop by and see what they have to offer at 11500 Hwy 19 North in Zebulon. 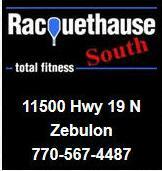 Call Racquethause South at 770-567-4487 to find out what specials they are running for new members. Tell them that Becky Watts at Pike County Times sent you! You may even see me there! HAMPTON - Full Blown Firearms is a faith-based Christian company that is family owned, family oriented and kid friendly. Call Brad Ward at Full Blown Firearms at 678-463-8155 for all of your firearm needs or check out http://www.fullblownfirearms.com for more details about training and gunsmithing and follow Full Blown Firearms on Facebook. Full Blown Firearms is located at 1074 Bear Creek Blvd, Suite L in Hampton just south of the racetrack. Hours are Tuesday through Friday from 10 am to 8 pm and Saturday from 10 am to 6 pm. Closed Sunday and Monday. Call Brad Ward at Full Blown Firearms at 678-463-8155 for all of your firearm needs. Tell him that you read about Full Blown Firearms on Pike County Times.com! 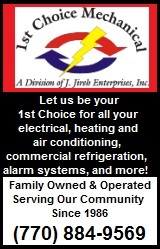 CONCORD - Let us be your 1st Choice for all of your electrical, heating and air conditioning, commercial refrigeration, alarm systems and more! We also install and service alarm systems for the discriminating building owner. 1st Choice Mechanical provides residential and commercial HVAC and electrical installation and service. We are licensed and insured. Click here for more. 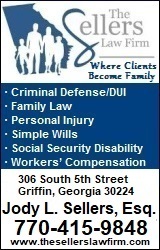 GRIFFIN - Please welcome Pike County Times' newest advertiser The Sellers Law Firm located at 100 South Hill Street Ste 502 in Griffin, Georgia. Specialties there include Criminal Defense/DUI, Family Law, Personal Injury, Simple Wills, Social Security Disability and Worker's Compensation. Free Consulation. Please tell them thank you for supporting Pike County Times! Click here for more. "The Oink Joint BBQ" on the Courthouse Square in Zebulon. Congratulations to Malissa Allen on guessing the correct answer! 1) One winner from each household every three months. 2) First correct answer to my email address above wins a free pulled pork BBQ sandwich from "The Oink Joint BBQ". 3) My family members are ineligible. 4) Email coupon must be used within 60 days. Past Trivia Winner: Congratulations to Malissa Allen for guessing Enchanted! Look for more movie trivia soon! "Government operates best when it operates openly." 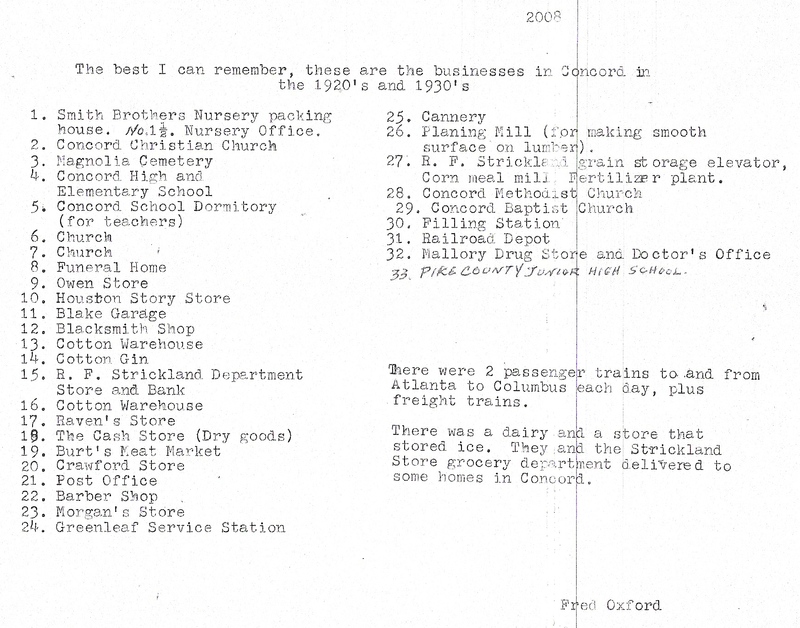 Welcome to a walk through Pike County's history with Pike 2000. Where were you in 1988? Pike County Times is funded by citizen donations and the advertisements from the community. Thanks for reading Pike County Times.com! Donations can be sent to: The Pike County Times, PO Box 843, Zebulon, GA 30295 or you can click on the PayPal link below. You can also sign up for early notification on top stories by clicking below. Thanks for supporting Pike County's only free online newspaper!